So many of us have been taught that our wounds are signs of weakness or defectiveness on our part, but wounds are a normal part of living. They are nothing to be ashamed of or to hide. 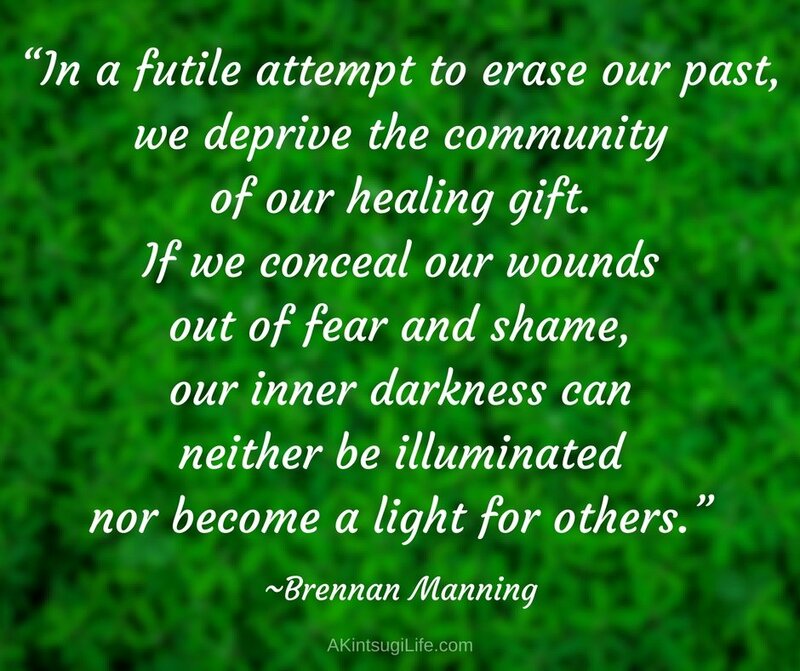 When we release these messages of shame that we have gotten from our culture, we create space for healing to take place and, in the process, for our own healing to spread to those around us. This is what living a kintsugi life is all about!